The Dingle Peninsula is home to an exciting multi-stakeholder project which involves a number of key national agencies (such as the national grid operator, ESB Networks) and local community representatives coming together to explore the transition to a low carbon future. ESB Networks recently launched “The Dingle Project” that will upgrade the existing electricity grid to investigate how the future smart network may look. Along with this, five homeowners in the area are being given the chance to experience and report on the smart home of the future through an ambassador programme that will see the installation of technologies such as air-sourced heat pumps, EV chargers, batteries and solar PV in their homes. In line with this, the Dingle Creativity & Innovation Hub, located within Dingle town, has established the Dingle Sustainable Energy Community (SEC)  and a number of initiatives relating to smart agriculture, sustainable transport, rural regeneration and bioenergy in the region. The primary goal is to explore how a low carbon transition may benefit the local community by providing new and interesting employment opportunities. Under the umbrella title of “Dingle 2030”, the Dingle Hub, ESB Networks, North East and West Kerry Development and MaREI researchers are working together to explore, support and enable the broader societal changes required for the low carbon transition across the Dingle Peninsula. Drawing from the principles and practice of engaged research, MaREI’s transdisciplinary research team is working in collaboration with the other Dingle 2030 stakeholders to generate outputs that are of value not just for research purposes but also for those involved. In the first instance, offering guidance and support, while exploring areas such as the meeting of top-down /bottom-up stakeholder groups and methods of collaboratively forming visions for the future of the energy system. Bearing in mind that the ESB Networks Dingle initiative is a pilot project, and that the scope of the Dingle 2030 initiative is so unique it is important to develop a case study that will capture how the project engaged with the community over the time period, and the lessons learnt along the way. assist in the setting up and development of effective engagement processes, project structures, and communication channels between stakeholders, and between stakeholders and the wider Dingle population. It is the aim of this research to develop and apply an innovative modelling framework that gives greater consideration to stakeholder values and perceptions. This new framework comprises a three-stage process of i) mapping of the current topography, ii) engaging with key stakeholder groups from the energy sector, actively involved members of the Dingle community (e.g. GAA club, Chamber of Commerce, etc.) and other members of the public not represented by these established bodies and iii) energy transition scenario analysis. The scenario analysis will explore potential futures for the economic and social development of Dingle as well as key questions relating to the energy transition such as what is the appropriate future level of electrification of heat and transport, and to what extent should future energy networks be distributed or centralised. 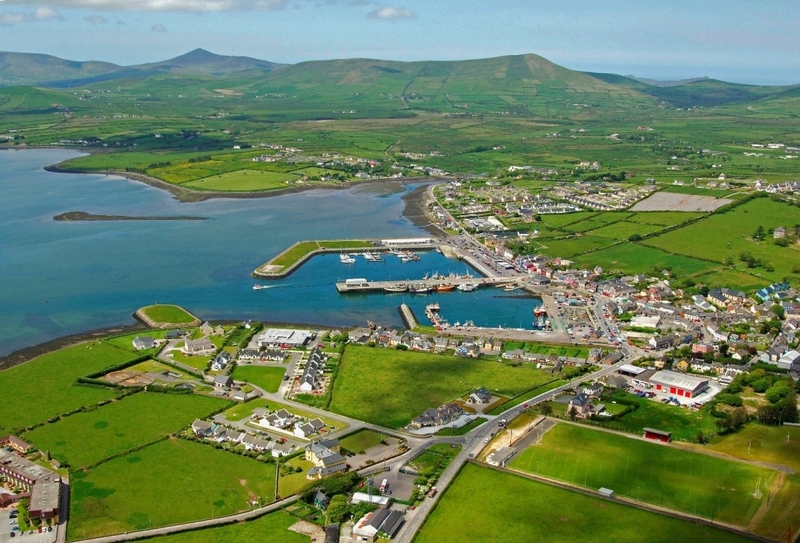 The purpose of this research project is to analyse the multi-stakeholder approach to the socio-technical transition to a low-carbon society on the Dingle Peninsula. In the past, approaches to transitioning have been implemented as either top-down (government led) or bottom-up (grassroots/community initiatives). Dingle 2030 has the potential to be a unique blend of both approaches, through collaboration and co-creation between different individuals/ organisations, with each having different goals, expectations and expertise. Using a participatory mapping approach, this research project will map the different individuals/ organisations involved in the Dingle 2030 project, to investigate how the multi-stakeholder network develops over time. facilitation of a participatory mapping exercise with a number of key stakeholders related to the range of initiatives on the peninsula. conduct regular interviews with a wide range of actors involved in Dingle 2030 to evaluative and analyse this innovative approach to the socio-technical transition to a low-carbon society in a regional context.